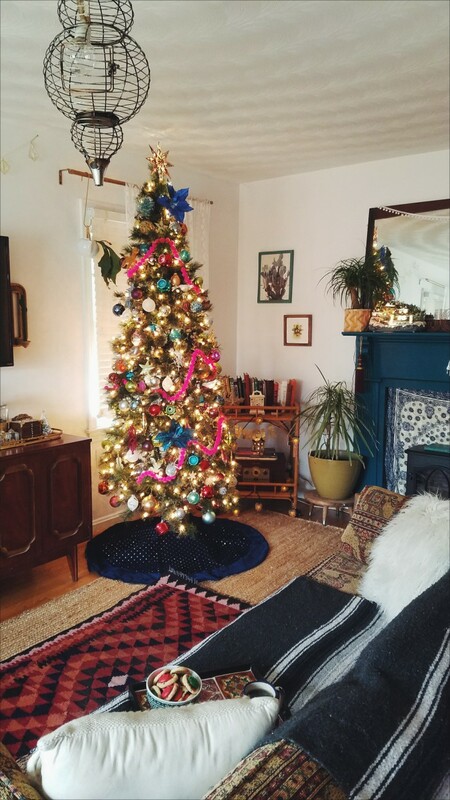 If you've ever wanted your Christmas tree to embody a colorful, global, boho style. I'm going to do my best to share with you how I created that vibe with my own Christmas tree. I don't really deviate much from my "norm" when decorating the tree each year. Yes, seeing other people choose a theme and go wild with it is interesting to watch. But the idea of that doesn't sound fun for me. 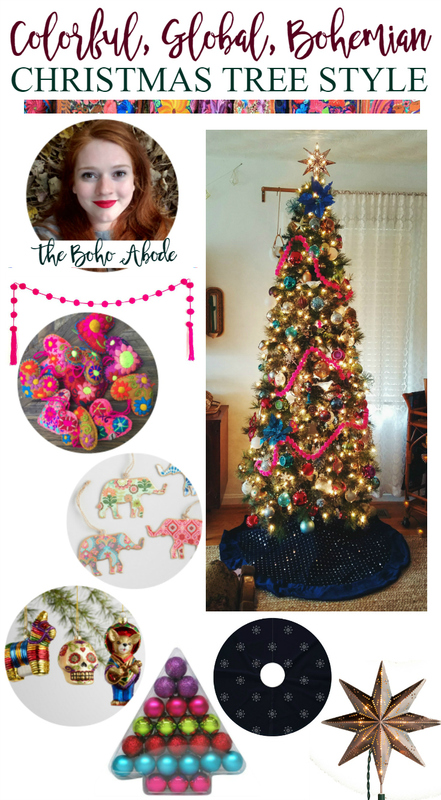 I know what I like and that's handmade ornaments from around the world, colorful jewel toned ornaments you can buy in bulk, and whimsical, unexpected ornaments that speak to my brand of boho. 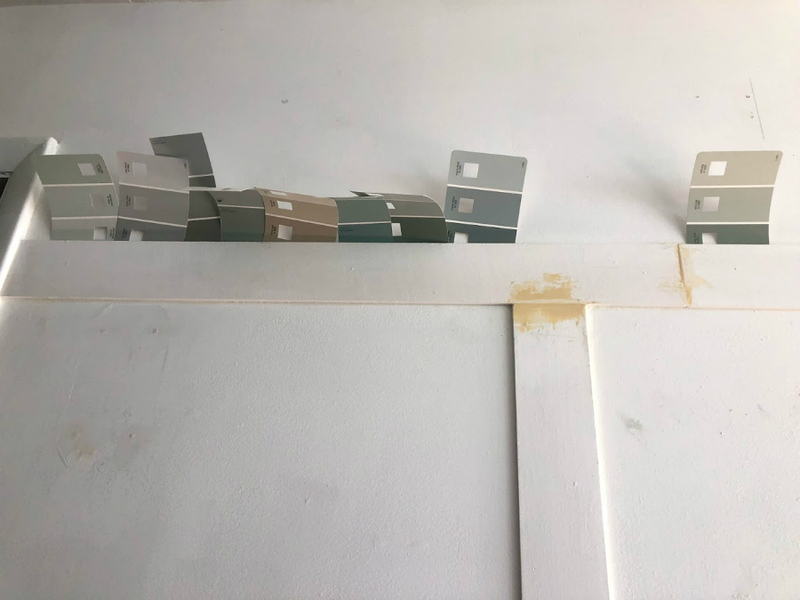 I think the key to making such an eclectic mix up of styles and themes work cohesively is by sticking with a color story. The basis of the tree is very jewel toned. 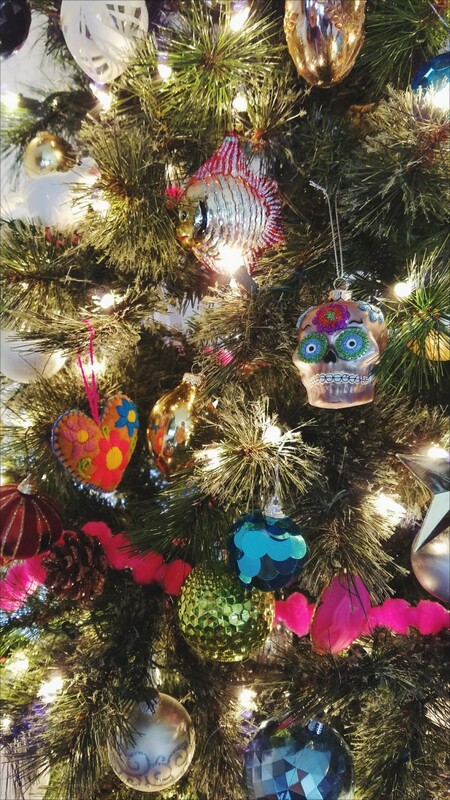 With different packs of shatter resistant ornaments in similar bright greens, pinks, reds and blues. Then filling the rest of the tree in with "flavor" makes it interesting. 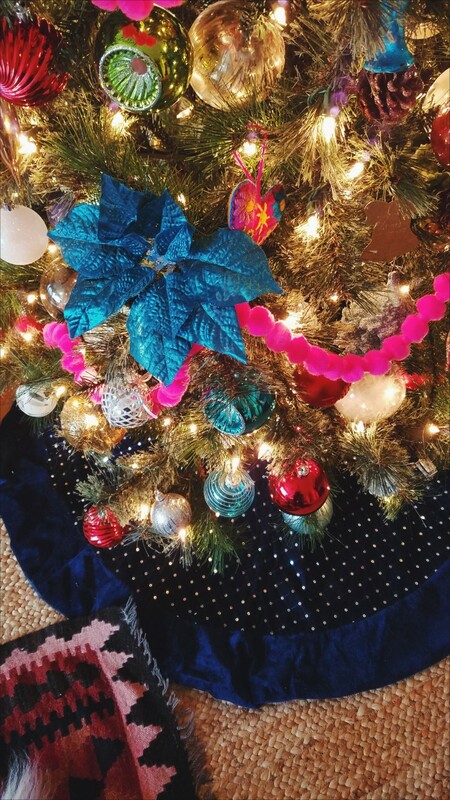 The main color story of my tree is obviously pink and blue. The colors are beautiful together every time. The bright pink is fun and whimsical and the blues are classic. 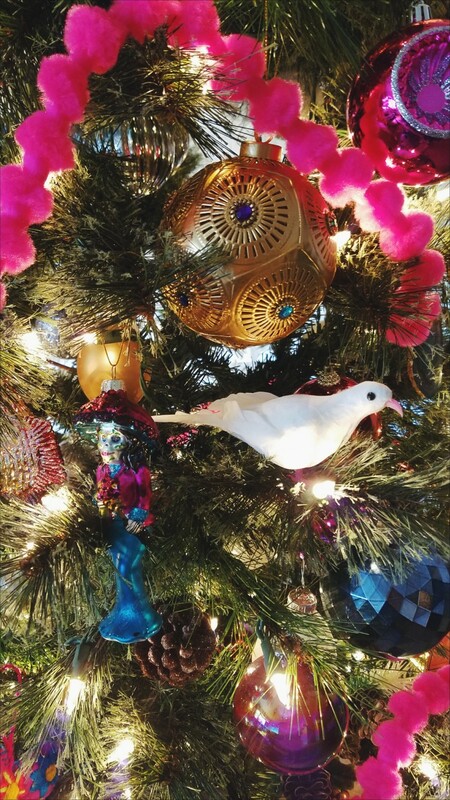 No tree is complete unless it sparkles, so lots of glitter and mirror finish ornaments complete the look of my tree. 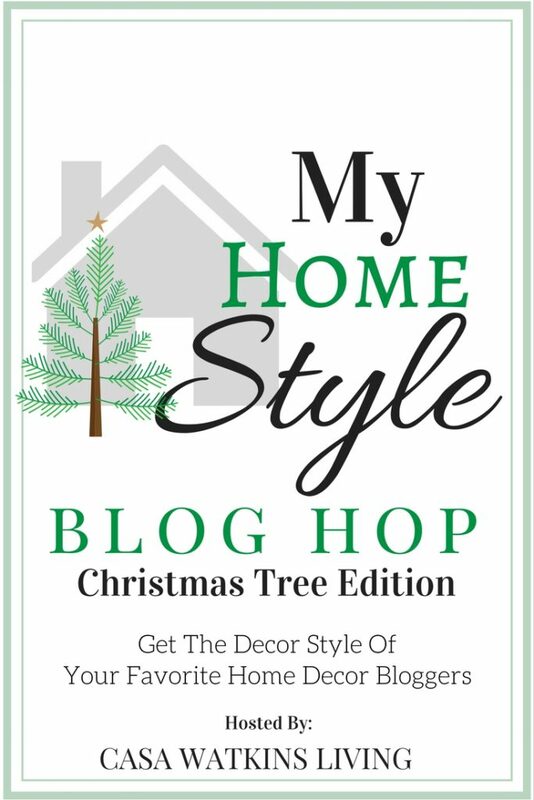 I hope you've found an idea or two here that inspires you to have some fun with your tree. If you have any questions, please use the comment form below to let me know! Don't forget to visit each one of my friends below to see how they describe and pull together their Christmas tree. They're all incredibly beautiful, you're going to find so many ideas to love! 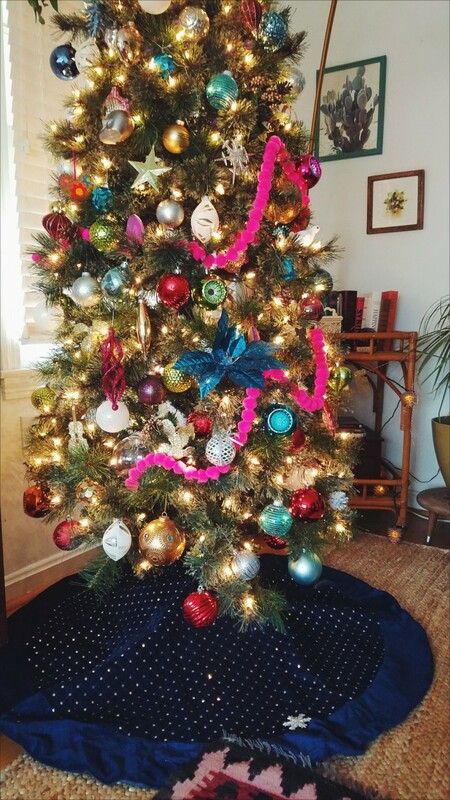 love your tree so much- that pink garland slays me! I really enjoy all the festive colors you have and the HOT pink garland. Another favorite feature of mine is the skirt, it complements the colors on your tree nicely. This is definitely Boho perfection. I love it! I love how funky your tree is! 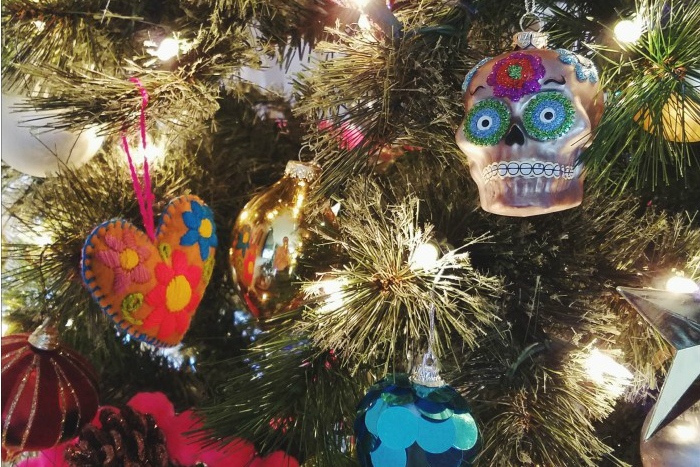 The Mexican glass ornaments are really cool. What a showstopper! I love love love your colorful tree! 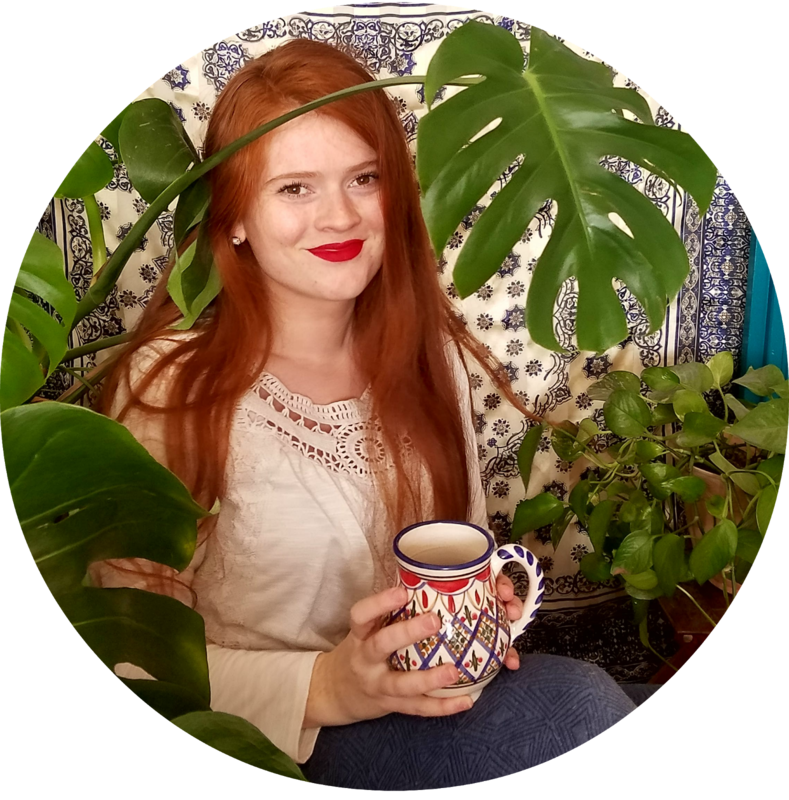 You have your boho style nailed. Beautiful, Corinna! So colorful and pretty! 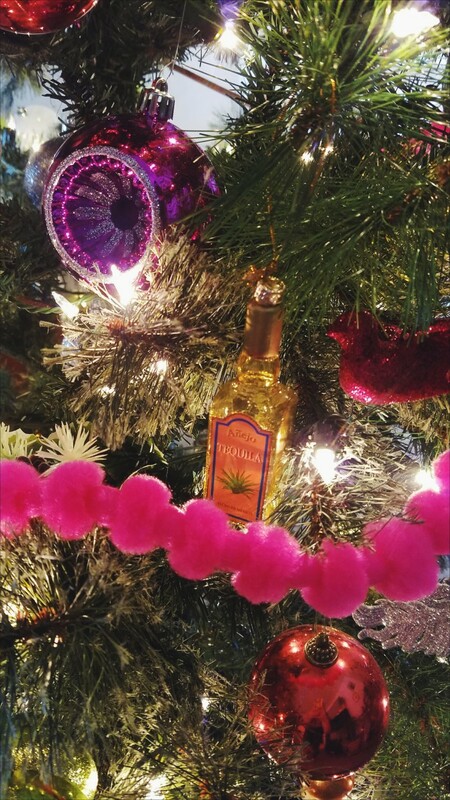 What a beautiful and colorful tree in your awesome boho style!! You did such a great job. It's a show stopper! I LOVE all the colors! So fabulous! Corinna love your tree for sure! 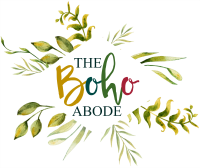 You know I love anything global boho that you create! Fabulous tree style.